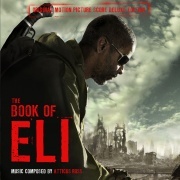 The Book Of Eli Soundtrack is a soundtrack by Atticus Ross, Leopold Ross and Claudia Sarne. 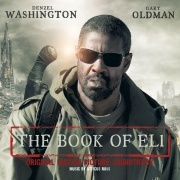 It was their first commercially released score and Ross's first film soundtrack, prior to the release of The Social Network Soundtrack. It was released on 11 January 2010. The bonus tracks are available on the iTunes deluxe, vinyl and deluxe CD versions. A music video for "The Passenger" was made, using an alternate version of the song. It features Claudia Sarne being covered in a nondescript black liquid and was directed by Rupert Sanders, then brother-in-law of Atticus Ross and who went on to direct How To Destroy Angels' debut video "The Space In Between". This page was last modified on 26 July 2017, at 16:59. This page has been accessed 2,280 times.